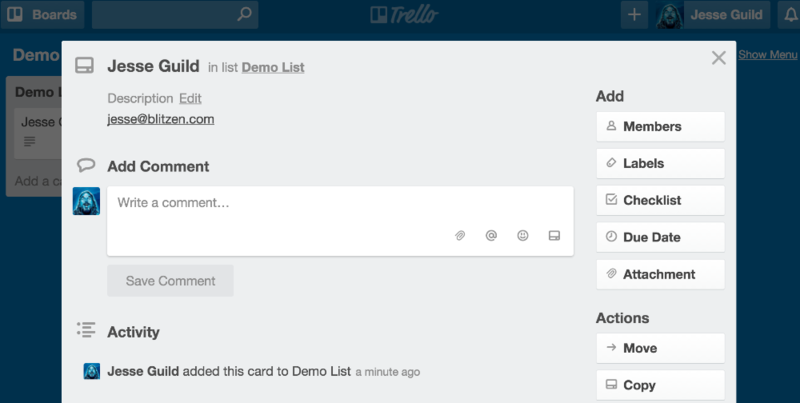 The Trello integration allows you to post a card on Trello every time a form is submitted. 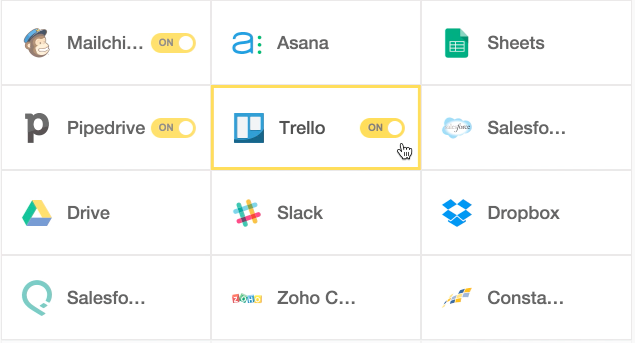 Note, to use this integration you first need to have a Trello account. Navigate to the ‘Integrations’ section in the left-side panel and click on the ‘Trello’ app. Drag the Trello App over into your workflow. This is called an output. Configure the app by clicking the ‘+’ icon. First you must decide whose credentials to use. Then using the drop downs choose the 'Organization', 'Board', and 'List'. Finally you must format how you wish the card to appear. In our example we use the first and last name as the title of the card and the email as the description. You can use any of the survey fields you have available to you from your survey.